The Respond Project produced two collections of female songwriters, including 17 GRAMMY®-nominated contributing artists. All project proceeds benefit domestic violence service and prevention non-profit organizations. 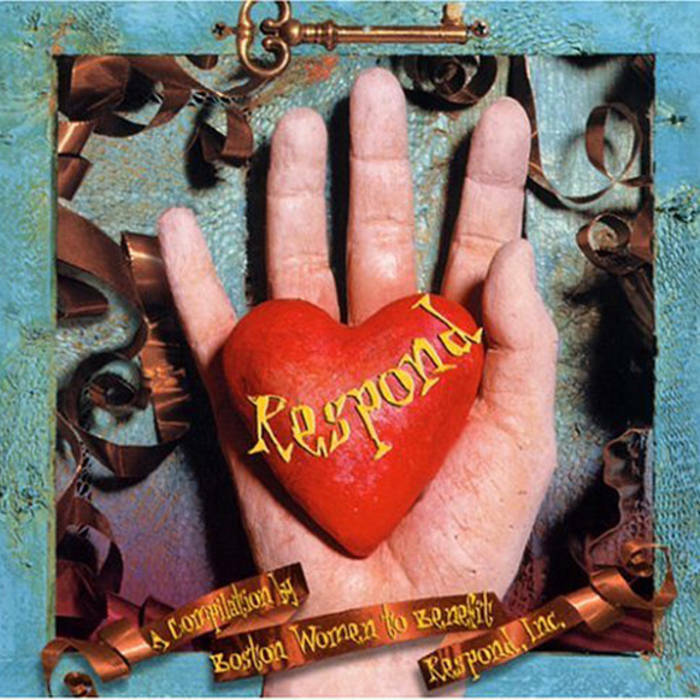 The first release, Respond: A Compilation by Boston Women to Benefit Respond, Inc. (Signature Sounds, 1999), a 2-CD set, features songs from 27 Boston-area songwriters including Mary Gauthier, Lori McKenna, Mary Lou Lord, Catie Curtis, Kris Delmhorst, Jen Trynin, Patty Larkin and Juliana Hatfield. Respond was featured in stories on VH1, NPR, CNN and MTV, and was named the #1 album of 1999 by the editor-in-chief of Billboard Magazine, Timothy White. White called Respond, "One of the most important and courageous records of the decade." The project was featured in a showcase at the Newport Folk Festival and in over 50 Respond concerts in clubs, theaters, colleges, festivals, and coffeehouses. Project artists celebrated Respond Inc.’s 25th anniversary with a major benefit concert and the project was one of the top 50 most played albums by US folk radio. Respond was nominated as “Album of the Year” at the 2000 Boston Music Awards and designer Connie Sharar and artist Stephanie Garcia won a Society of Illustrators Award for their album cover design. Respond is dedicated to the memory of contributing singer-songwriter Alexis Shepard. 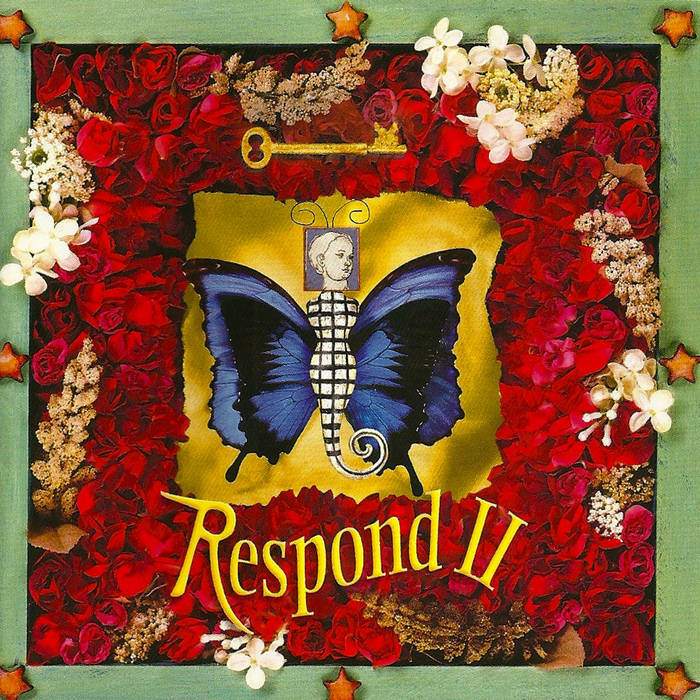 The project’s second release, Respond II (Signature Sounds, 2003), features 32 songs by artists from Boston and beyond including Dolly Parton, Elly Guerra, Aimee Mann, Indigo Girls, Bebel Gilberto, Tanya Donelly, Patty Griffin, Joan Baez, Angelique Kidjo, Neko Case, Suzanne Vega, Odetta, and Sweet Honey in the Rock. The Boston Globe’s Joan Anderman noted that Respond II was ". . .a match made in heaven. Music lovers get a remarkable collection of songs [and] an important issue gets attention and financial support." The project was recognized by the Points of Light Foundation and the production team won an award in the Harvard Business School Business Plan Competition - Social Enterprise Track. Respond II was played in all Starbucks stores and was nominated for a Boston Music Award. Respond II is dedicated to the memory of Timothy White. We thank him for his heart, generosity of spirit and support. RESPOND, Inc. continues to celebrate his life with its annual Timothy White Take A Stand Award. The Respond Project raised over $250,00 for its benefiting organizations, RESPOND, Inc. and the Family Violence Prevention Fund (now known as FUTURES Without Violence). Based in Somerville, Massachusetts, RESPOND, Inc. was one of the first programs in the United States to offer shelter and assistance to victims of domestic violence. RESPOND Inc.’s 24 hour hotline is 617-623-5900. Based in San Francisco, FUTURES Without Violence has been providing groundbreaking programs, policies, and campaigns that empower individuals and organizations working to end violence against women and children around the world for more than 30 years. The National Domestic Violence Hotline number is 1-800-799-SAFE (7233). "One of the most rewarding and important developments to emerge out of the Boston music scene this year. The release would be admirable even if the songs were not top shelf, but this is a superb collection." "Though the Respond CD might have just been another good deed floating in the ether, it stood out from the pack because it's a great album that is musically and thematically cohesive, hardly common in Compilation Land. . . Covering folk, pop, country, and rock, the album is a vibrant, engaging, heartwarming listen." "This is a truly amazing record . . . it features some of the most gifted contemporary singer/songwriters (female or male) of the East Coast, truly showcasing a wealth of experience, talent, and beauty. If only all cities breathed music like Boston. This is not a hit-or-miss album, every song that is contained in this compilation is worthy of being included and the manner in which this project came together is a nice reminder that music can heal some wounds." "A stellar group of female singer-songwriters"
(Three and a half out of four stars) "If the two-CD set Respond did nothing more than showcase the variety and consistent excellence of female singer-songwriters in the Boston area, it would be a success. But because both Respond and its concert benefits Respond Inc . . . this set is a must-buy. . . . Respond is a rare animal - a good-cause album that's actually good." "One of the strongest and most comprehensive local compilations in recent memory"
"an absolute knockout lineup of artists . . . the quality of the songs is wonderfully good"
"Respond plays like a who's who of Boston's ripe singer/songwriter community . . . [a] stellar release." ". . .a match made in heaven. Music lovers get a remarkable collection of songs [and] an important issue gets attention and financial support." ". . . the songs have been chosen with great care. By focusing on the heart of the music rather than just the genre, this compilation takes seemingly disparate elements . . . and weaves them into sonic pattern that is cohesive, complex, and altogether compelling." "This compilation will become a valued part of your record collection"
"Tough to find a better cause and it's tough to find a more colorful cast than the women who bring their songs to life on the double disc compilation "Respond II"... Some of the set's best moments include the sweet soul of Wanetta Jackson...Susan Tedeschi's deep dark blues...and Sleater-Kinney who let their loud, raw guitars hang right over the edge of the jukebox...A fine opportunity to get exposed to lots of new music, while simultaneously taking a stand against domestic violence." Four stars “Don't buy it just because it's a great cause: You'll probably plunk down the money for the well-known artists -- which include Joan Baez, Dolly Parton, Sarah McLachlan, Ani DiFranco, Sleater-Kinney, Sweet Honey in the Rock and Aimee Mann. But there are also a bevy of lesser-knowns who deserve your attention, including Deb Talan, Erin McKeown and Ely Guerra." Four stars "Charming...the lineup of female performers is eclectic...but the music flows together seamlessly...(the songs) focus on the strength and vulnerability of the human spirit." "A magnificent feast of female talent"
"A virtual who's who of female musicians, a strong compilation, and the cause is beyond reproach." Four and 1/2 stars "As compilations go, "Respond II" is a rare embarrassment of riches. . . a multi-genre spectrum of performers, the compilation is loaded with emotion. . . a heady collection. . . a bounty of good songs"
"the CD's wonderful intentions aside, a finer collection of women's music could not be found"
Dan Fireman - President, One Family Campaign and Senior Vice President, Willowbend Development Corp.
Maria Kalligeros - President and Co-Founder, Patrice Tanaka & Company, Inc.
Georgianna Meléndez - Executive Director, RESPOND, Inc.
Gerald Slavet - Chairman and Creator, "From the Top" and Senior Partner, MB Management Corp.